OSHA training is a legal requirement for many different types of industries. OSHA training is essential for a safe and healthy work environment, providing employees or contractors with necessary skills for workplace safety. OSHA training can significantly reduce the likelihood of a workplace injury. Syracuse Builders Exchange offers OSHA training and OSHA classes for free for our members. Non-members can also sign up for our OSHA classes for a nominal per-student fee. Throughout the year, Syracuse Builders Exchange offers scheduled OSHA training. Our OSHA training opportunities include OSHA 30 Hour Training as well as OSHA 10 Hour Training. Our OSHA classes do include a maximum capacity. This makes it important to register for our OSHA training courses immediately upon being aware of your need for OSHA training. Do your employees or contractors need to complete their OSHA 30 or OSHA 10? Syracuse Builders Exchange members can take OSHA safety training for free. OSHA 10 Hour Training is a specific OSHA safety course for workplace safety in the construction industry. OSHA 10 Hour Training from Syracuse Builders Exchange fulfills requirements for this OSHA safety course as part of New York State's prevailing rate law for public work of $250,000 or more. Syracuse Builders Exchange members can register for OSHA 10 Hour Training for free. Individual employees or contractors who attend and complete the OSHA 10 Hour Training will receive Completion Cards. These OSHA 10 Completion Cards serve as proof of completion for this required workplace safety training. Do you have employees or contractors who need to complete OSHA 10 Hour Training? In addition to OSHA training, member organizations can take advantage of several other member benefits. ​OSHA 30 Hour Training is a construction safety training course that specifically focuses on construction outreach. Employees or contractors who attend OSHA 30 Hour Training must buy a copy of the Construction Standards from the OSHA 30 instructor. In order to do construction jobs with certain organizations, including Anheuser-Busch, Cornell University and others, completing the OSHA 30 Hour Training is required. Syracuse Builders Exchange members can register for OSHA 30 Hour Training for free. Individual employees or contractors who attend and finish the OSHA 30 Hour Training course will receive course completion cards. These course completion cards serve as verification that the employee or contractor has completed this required construction safety training class. ​Do your employees or contractors need to complete OSHA 30 Hour Training? Do Your Employees or Contractors Need to Complete Their OSHA 10 or OSHA 30? 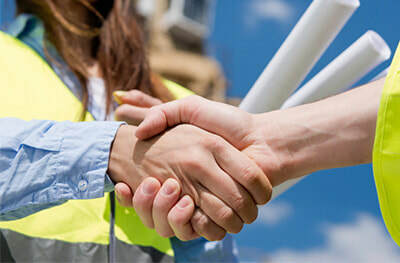 Whether you're looking for OSHA 10 Hour Training or OSHA 30 Hour Training, Syracuse Builders Exchange offers scheduled OSHA safety training on specific dates throughout the year. Syracuse Builders Exchange members can register their employees or contractors for OSHA training for free.